Demi’s Animal Rescue is a no kill animal rescue located in Denver, CO. After a referral from one of New Frame Media’s customers (it’s not unusual for our customers to become New Frame evangelists!) Demi’s Animal Rescue contacted New Frame Creative with one big question: can we do this project across two time zones? The answer was a resounding yes! With today’s cloud based technology, the distance just wasn’t an issue. We transferred files through Dropbox and stayed up to date on Google Hangouts. The result is an absolutely beautiful new website that captures the heart and youthful energy of this nonprofit. 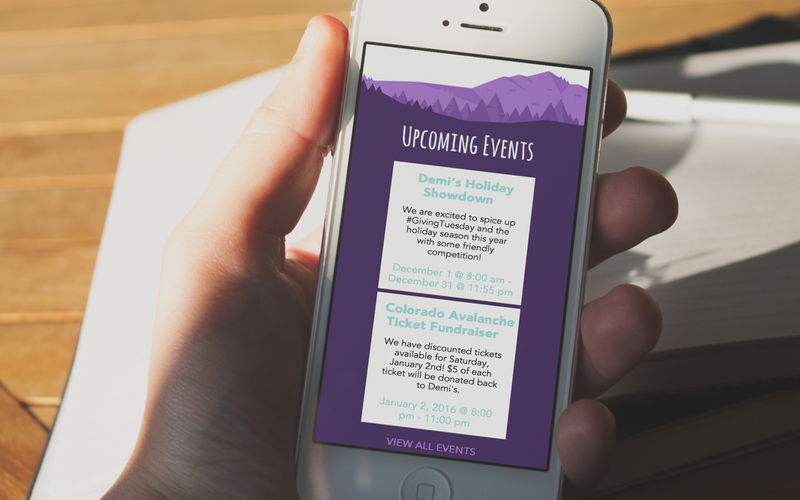 This website Features a lovely social media feed, a current events calendar, a blog, multiple custom forms, and of course responsive design ensuring the site looks great on all screens from desktops all the way down to smartphones.